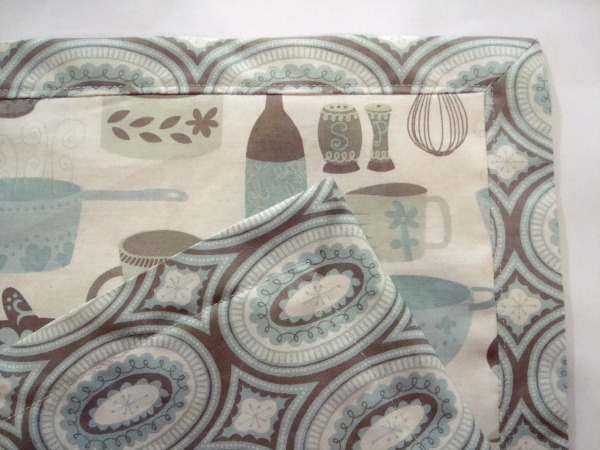 Sewing your own napkins can be fun and a great little house warming present or just for fun in your own home. Great for a green living too. 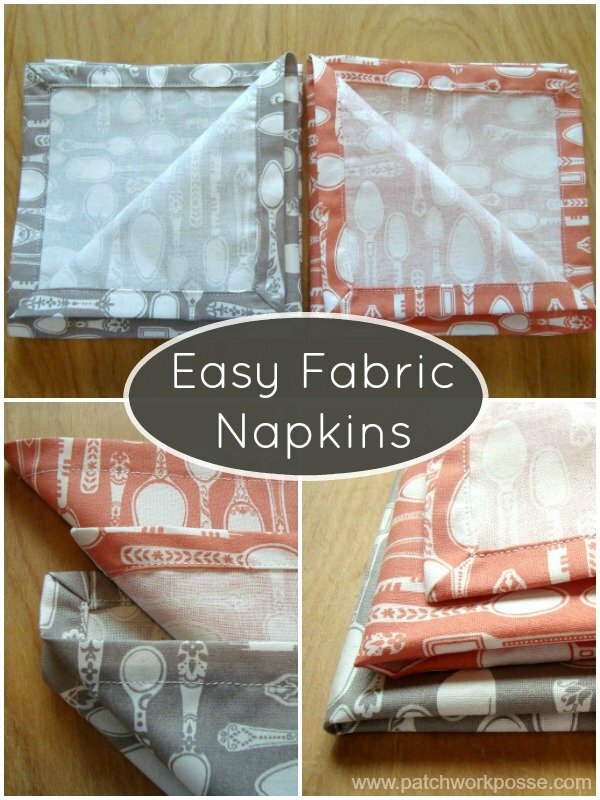 Since these napkins are double sided they are a little heavier and can wear longer through more washings. Pick fabric that is complimentary to each other. Because the back comes to the front with the binding it shows up better if it’s got good contrast to the inside fabric. If you are making them for holiday season, pick fun colors that go along with that– red, green for Christmas, browns/oranges- Fall, orange/black for Halloween…you get the idea. The beauty of this technique is that the fabric from the back comes to the front– giving it a fun interest. 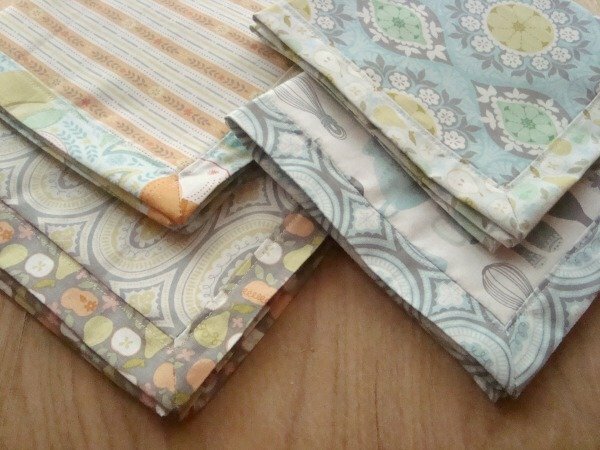 This is a great way to sew up a baby quilt too– here’s another tutorial for making a self binding baby quilt. 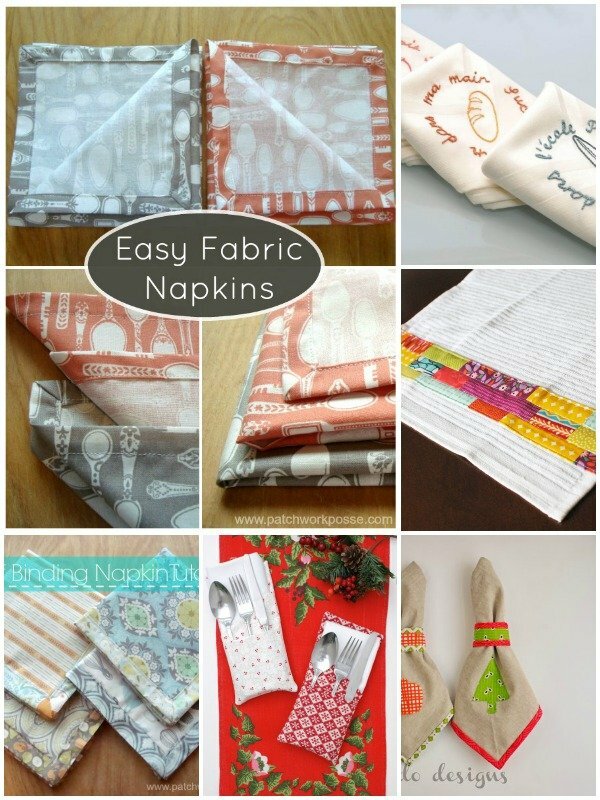 Do you make handmade napkins? This is brilliant!! Thank you for sharing. Thanks Anne! Those do make it kind of fun– great way to show off awesome fabric too. 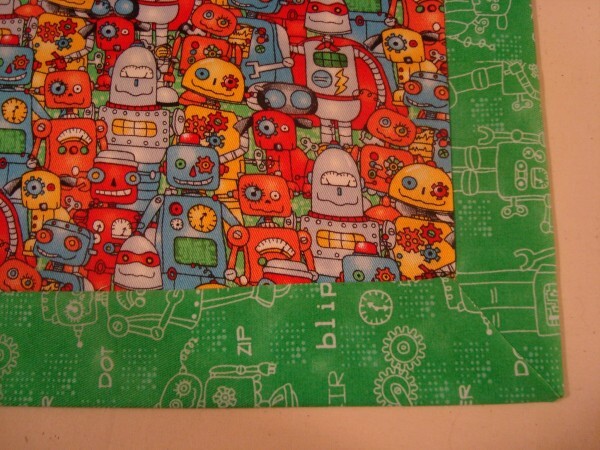 Great idea & taken a step further could be made into a babies blanket. 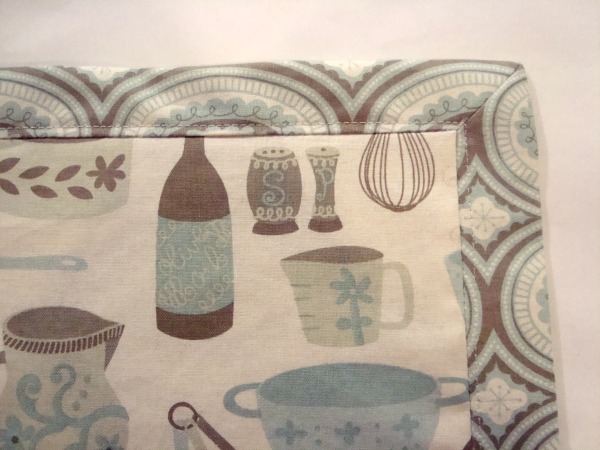 Or place mats; or with heat resistant batting, pot holders. This opens a whole new door for me and my gift giving. I can see table settings with place mats, matching napkins and possibly a hot pad for the middle of the table (for the main course)! 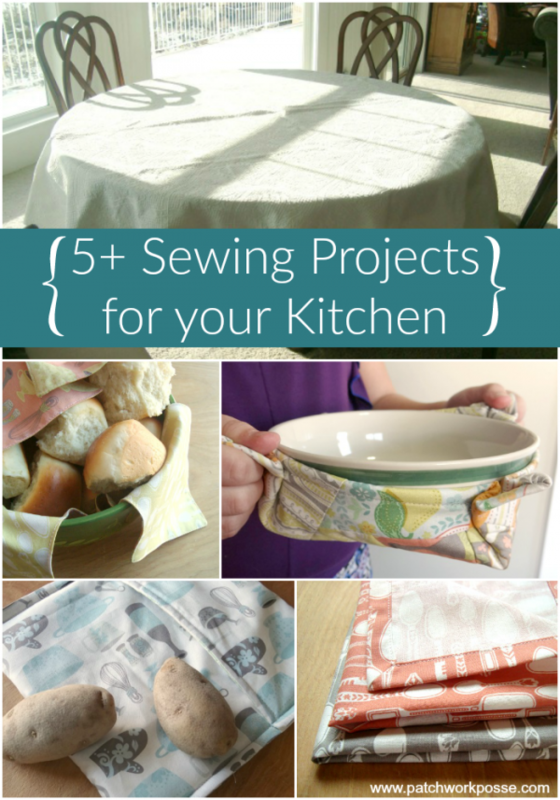 What a great and seemingly simple sewing project for a wedding or house warming. That’s an interesting method. 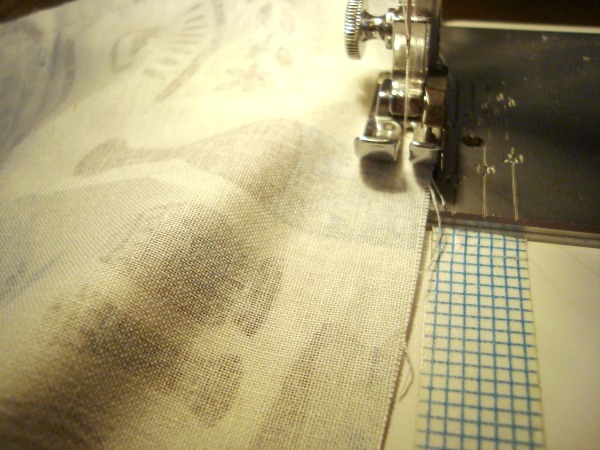 I pinned your picture in my sewing board as a reminder to try it. Thank you! 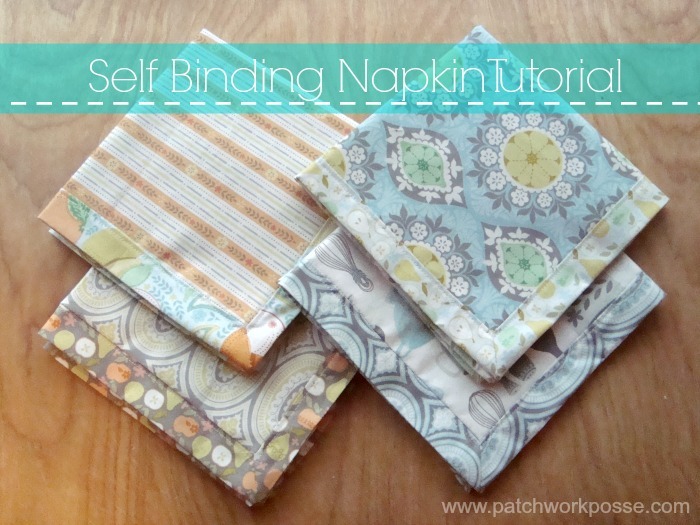 These are delightful and what a detailed tutorial you’ve shared. These are so colourful! And you’ve really laid out the steps really well. I love this idea. Thank you for sharing. 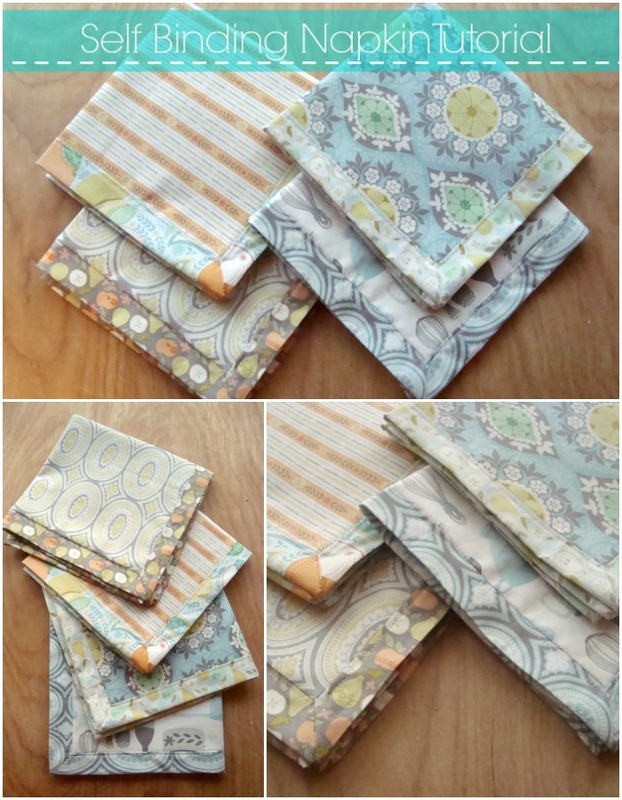 I have a pile of fabric waiting to be made into napkins and I will use your tutorial. 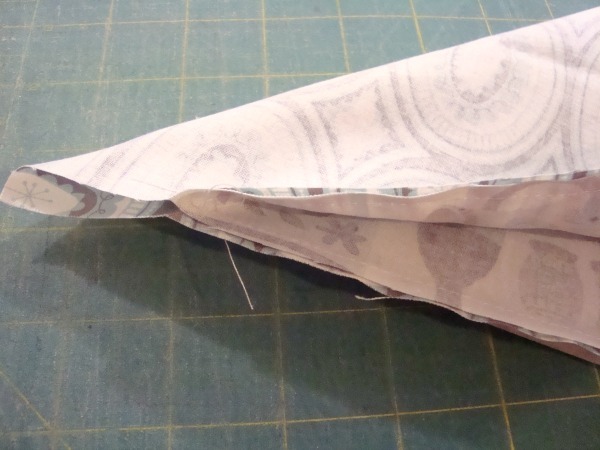 I love this concept, but I must be missing something in the mitering process. My napkin has an edge that can’t be worked/ironed flat. 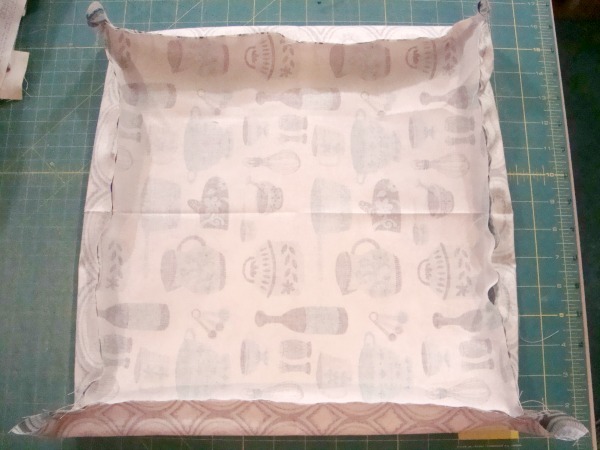 Sheesh…I have a shallow fabric basket. Help please! 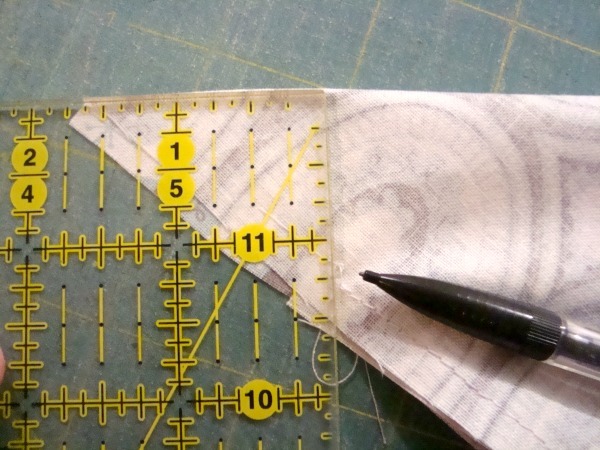 OK…I goofed on step 10…line the ruler up on the F O L D…worked so much better! What a great idea! 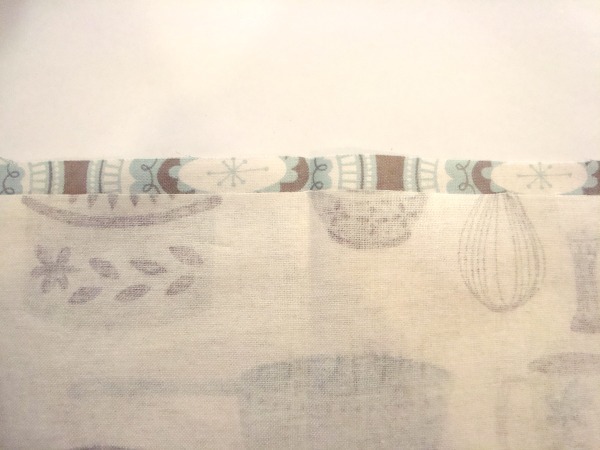 I’m doing my kitchen in a beautiful shade of green linen with various prints that coordinate, this is a perfect project to add to my collection. Stacy- so glad you found it. Good luck making them. They are perfect for a quick project. This technique is genius!!! Thanks so much for sharing! For some reason mine won’t lay flat? Any ideas what I’ve done wrong? Michelle- you might want to check out your sizes. I believe they need to be equal — like if back is long on one side than the other, it could cause it to not line up properly. Not sure they have to be square? But the back needs to be larger than the front all the way around the same measurement. 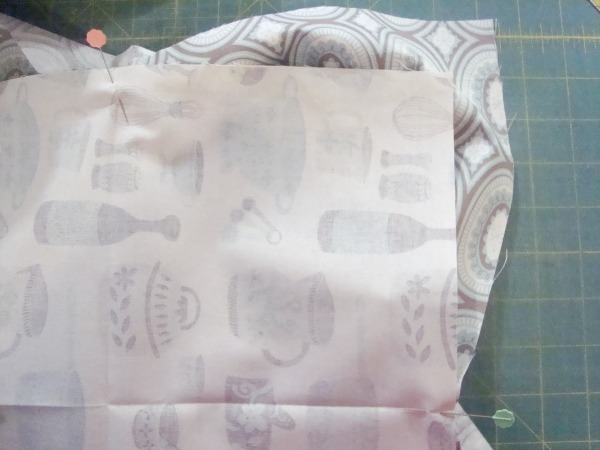 Example- if you are making the back 2″ larger than the front, then it needs to be 2 inch larger on each side. One side can’t slip and go to 1 1/2 ” and the opposite side take up the extra and become 2 1/2″ see what I’m saying? They need to be equal. Check that and see if that might fix it. Good luck! 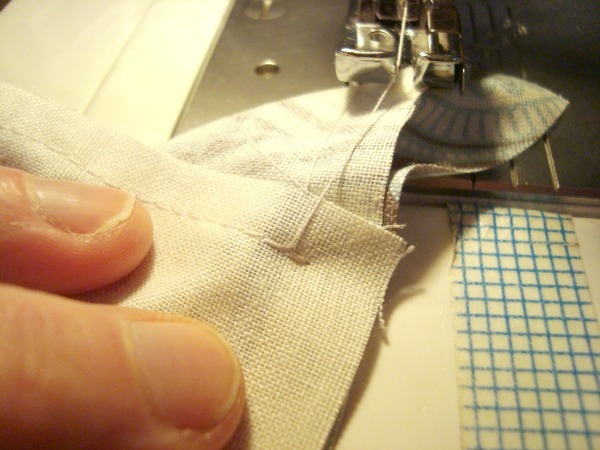 Thank you for this, I have been sewing forever and I was still mitering the same old ‘hit-and-miss’ difficult way. I’ve put these on my ‘to-do’ list!! 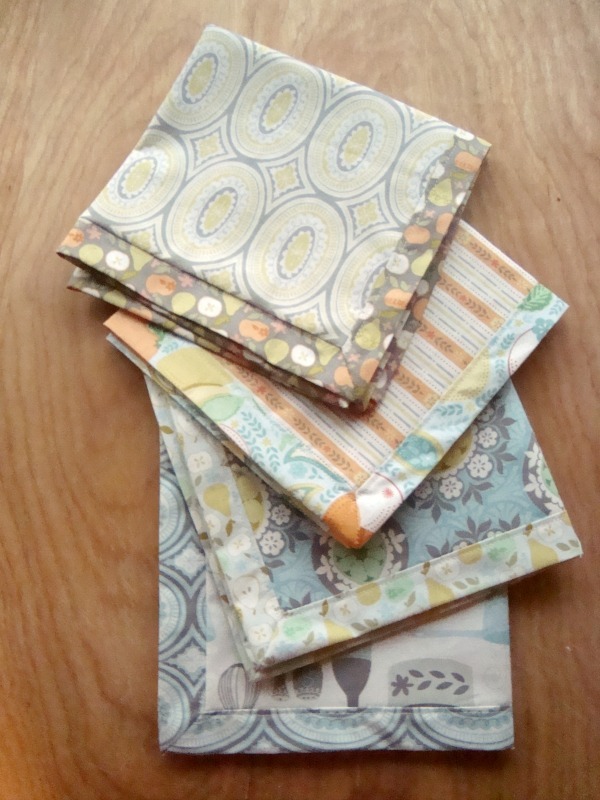 I think using flannel for the smaller of the fabric squares…or even terry washcloths!! Would be pretty effective for those chicken or hand held food meals. Also for young ones! !